Ships today if you order in the next 13 hours 48 minutes. Acai berry extract (Euterpe oleracea), native to Brazil, offers an exceptional nutritional composition of vitamins, minerals, fiber, essential fatty acids, amino acids, and anthocyanins. Pure Encapsulations acai berry is harvested by hand in order to preserve the integrity of the palm tree and the delicate rain forest ecosystem. Berries are also hand sorted and selected for quality. In this formula, acai is combined with blueberry, pomegranate, and cranberry for additional antioxidant support. 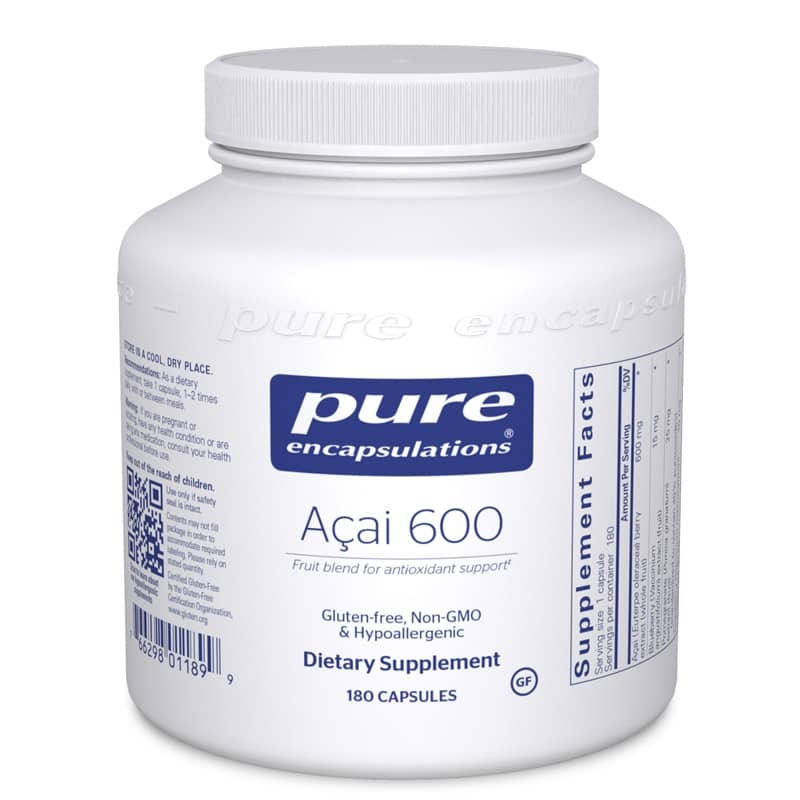 Acai 600 provides the broad profile of acai nutrients combined with antioxidants from blueberry, pomegranate, and cranberry. Other Ingredients: hypoallergenic plant fiber (cellulose), vegetarian capsule (cellulose, water). Contains NO: artificial additives, allergens, GMOs, environmental contaminants or added excipients. Adults: As a dietary supplement, take 1 to 2 capsules per day, in divided doses, with or between meals.